‘This is one of those winters – the gift that keeps on giving,’ said Jon Gottschalck of the National Oceanic and Atmospheric Administration. LOS ANGELES — The first day of spring? Some people in Maine were shoveling 6 inches of new snow. And in Michigan, college students couldn’t even burn a snowman. “This is one of those winters — the gift that keeps on giving,” said Jon Gottschalck of the National Oceanic and Atmospheric Administration. Officials at Lake Superior State University in Michigan’s Upper Peninsula near the Canadian border said the snow and high winds raised safety concerns, and the ceremony was moved to Friday. Since the snowman is usually lit with a propane torch, “you’ve got sparks flying, and we don’t need anybody to get a hole burned in a coat or worse,” said university spokesman Tom Pink. Some were disappointed but others preferred waiting until Friday “when it’s supposed to be sunny — at least a little like spring,” he said. In the West, parched conditions that have gripped California and the Southwest will continue with little relief, the federal government reported in its annual spring outlook. If the drought persists, it’ll likely lead to a busy wildfire season. “Looking forward, we see little improvement unfortunately in some of the most impacted drought areas,” said Gottschalck, acting operations chief at NOAA’s Climate Prediction Center. The spring outlook comes after NOAA and many private weather forecast companies predicted equal chances for unusual warmth, cold, snow, rain and even average weather for the winter due to lack of certain global weather factors. NOAA’s Mike Halpert said the weather-weary nation is ready for a change. 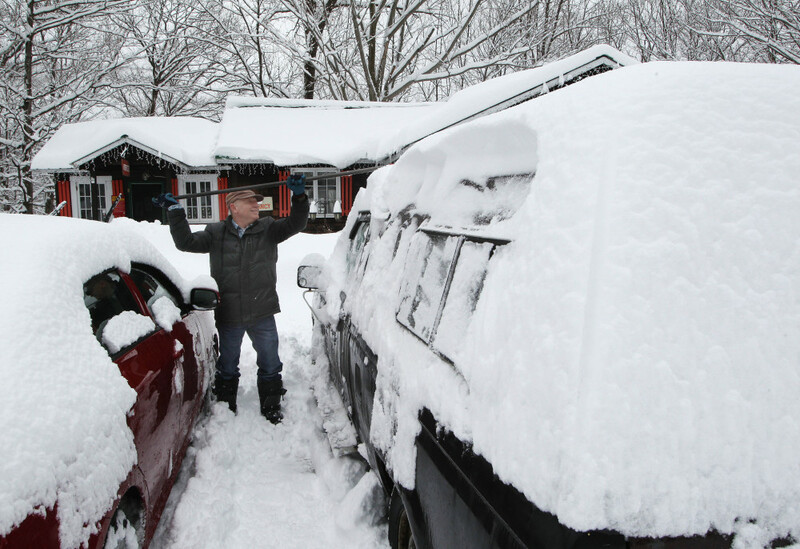 “After a memorable winter I suspect most of us are ready for spring,” he said in a NOAA video.